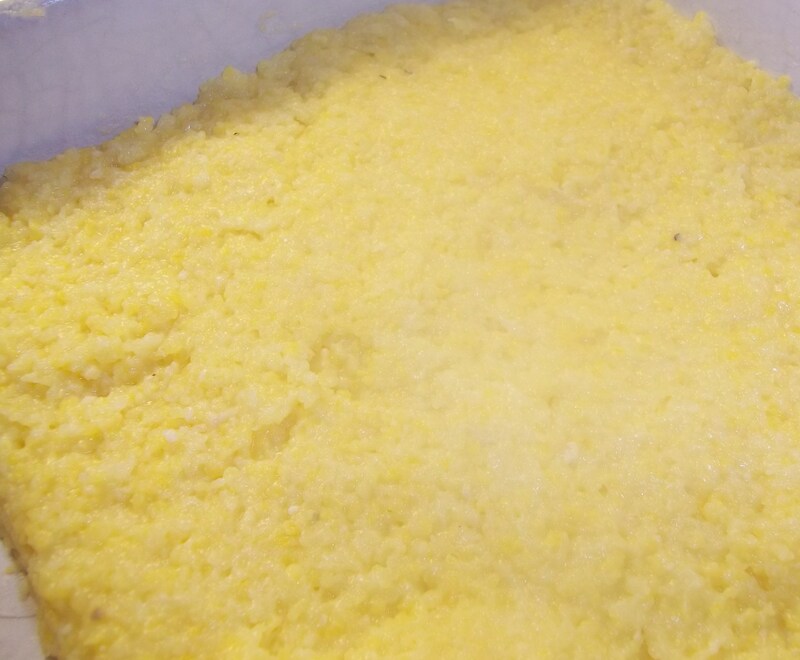 You can serve this polenta soft from the pan or spread into a baking dish before allowing it to firm up in the refrigerator. 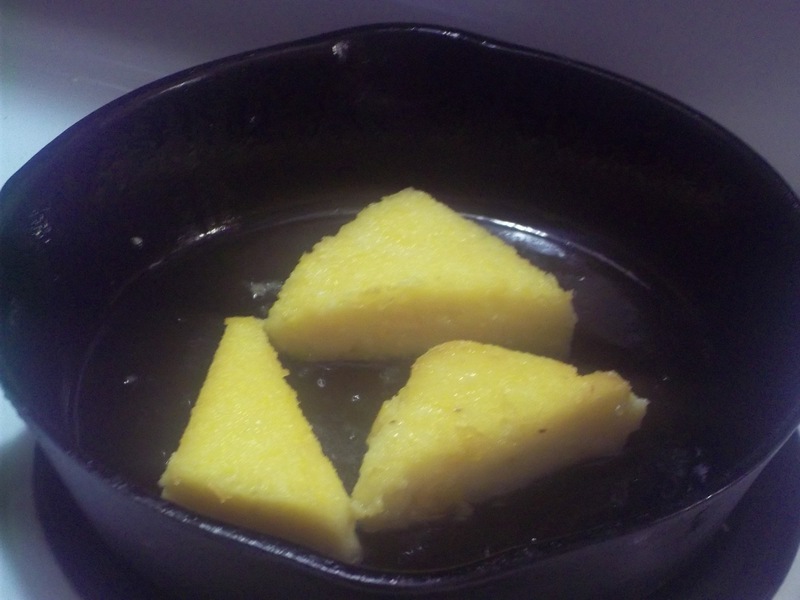 When it’s chilled, you can cut the polenta into squares or triangles and saute it in a bit of oil until heated through and a crust is formed on the outer edges. If you want to make a large batch, cut them and freeze them individually, place in freezer bags, then pull out the amount you need a few at a time. For a quick side dish, place them on a greased baking sheet and put them right under the broiler, frozen, until they get as brown as you like. They end up crispy on the outside and soft and warm on the inside. 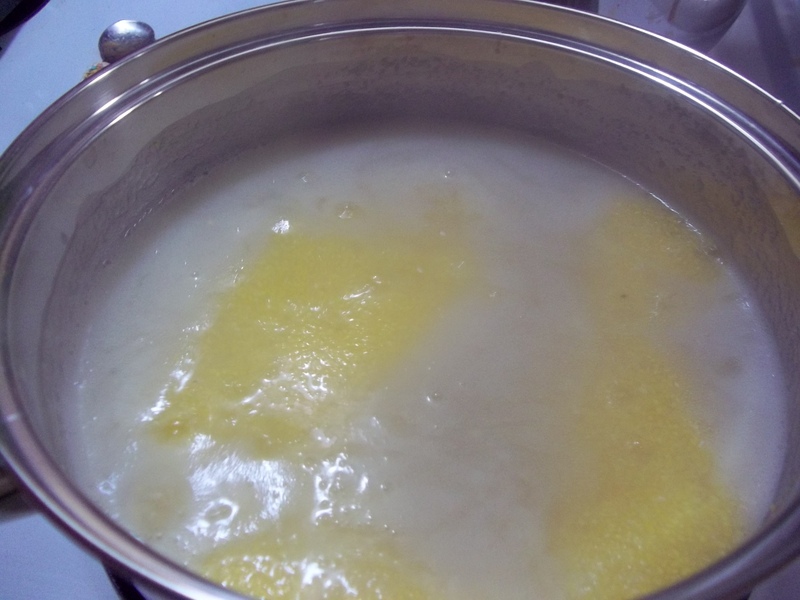 Bring the water or stock to a boil in a medium saucepan with 1/2 tsp. salt. Add polenta. 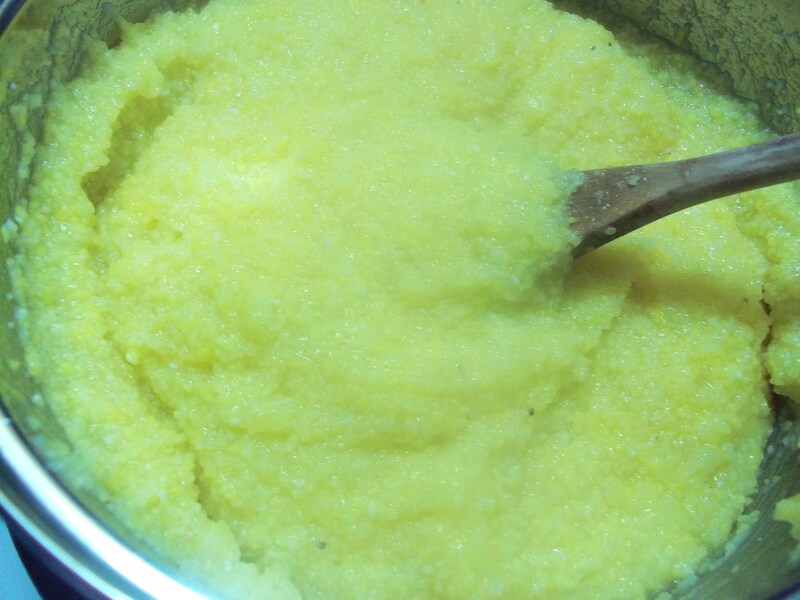 Reduce heat and simmer 7 minutes, stirring occasionally until polenta is tender and creamy and all of the liquid has been absorbed. 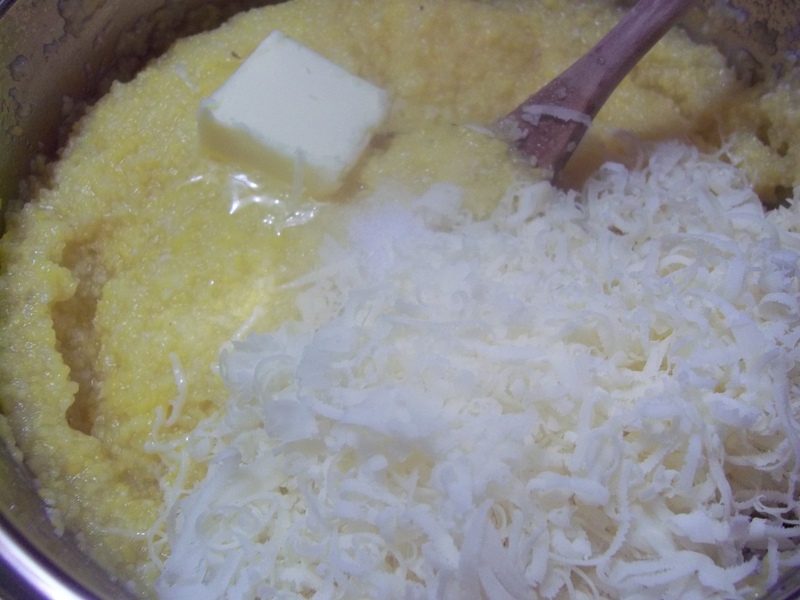 Stir in additional salt, butter, and cheese. Serve or spread into a baking dish and chill.